4 Key Things To Know About The Islamist Surge In Iraq : Parallels The extremist Sunni group ISIS has taken several cities and is threatening to take more. But the triumphs have come in Sunni areas and the fighting will get much harder if ISIS attacks Shiite turf. 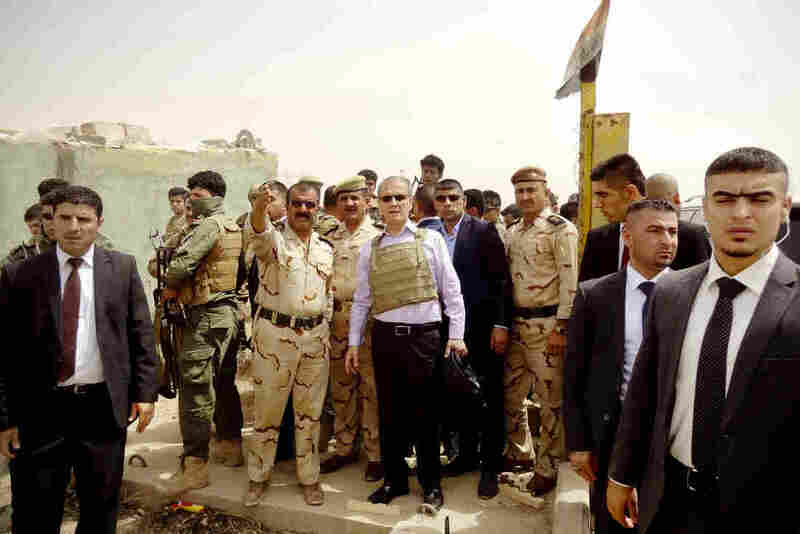 Kirkuk province's Kurdish governor, Najim al-Din Omar Karim (center, wearing a bulletproof vest), listens to a commander of the Kurdish Peshmerga forces as troops are deployed on the main road between Kirkuk, Mosul and Baiji in response to the offensive by ISIS, an extremist Islamist group. The extremist Islamist group ISIS, the Islamic State of Iraq and Syria, shocked the world this week by conquering the northern city of Mosul, one of Iraq's largest cities and home to some 2 million people. ISIS is also a key player in the Syrian civil war, fighting both the regime of Syrian President Bashar Assad and more moderate rebel forces. The group is made of Syrian, Iraqi and foreign fighters who slide back and forth between the two countries for attacks on opponents or to take safe haven in the territory they control. Mosul is by far their biggest conquest yet. 1. The lightning advances haven't been as fast as they seem. ISIS has been making gains throughout Iraq's western Anbar province and some of the areas around Mosul for months, but this received limited attention. ISIS seized the strategic, but smaller city of Fallujah in January. Fallujah is only about an hour's drive west of Baghdad. The group has also held areas farther to the west, near the Syrian border. 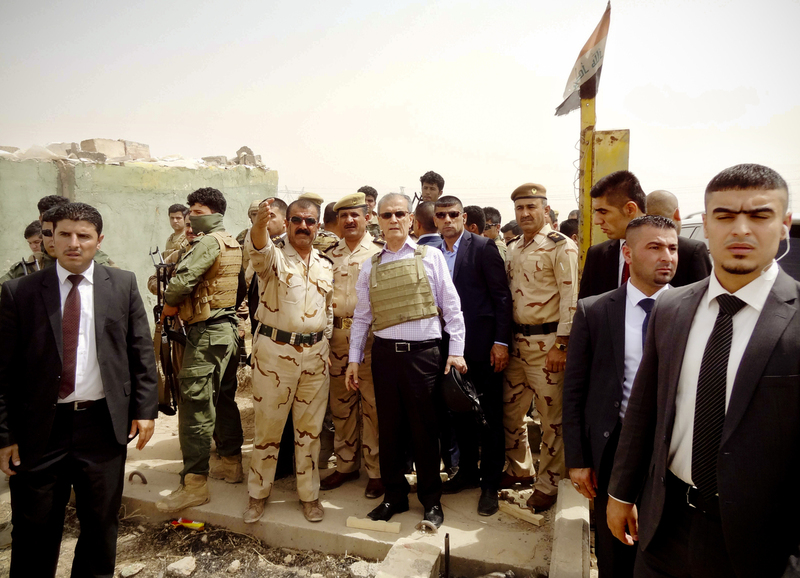 Throughout this period, Iraqi officials have pressed for more weaponry from the U.S., and have received some. Meanwhile, the U.S. and other nations have pressured Iraqi Prime Minister Nouri al-Maliki to reach out to these Sunni Muslim areas, which have been alienated by Maliki's Shiite-led government. A Kurdish policeman stands guard while refugees from Mosul head to Irbil, Iraq, about 217 miles north of Baghdad in the self-ruled northern Kurdish region. 2. ISIS hasn't faced much resistance. The ISIS surge through Mosul actually came off without much fighting. 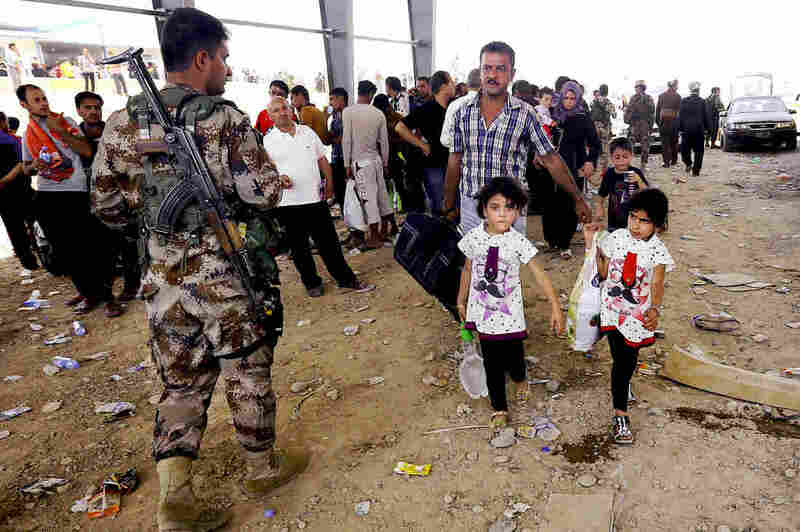 When the Iraqi army fled the city, it left behind a mostly Sunni Muslim population that's distrustful and resentful of Iraq's central government. If you look at maps of the places where ISIS is advancing, it's been through Sunni areas so far. For a group like ISIS that bills itself as defenders of Sunni Muslims, Sunni areas of Iraq are low-hanging fruit. But a great deal of Iraq falls into that category. The central government has largely treated these areas with neglect, if not worse. 3. ISIS will face a much tougher time when it reaches Shiite areas. Aside from a few neighborhoods, the capital Baghdad is overwhelmingly Shiite and brimming with well-organized militias that often work in concert with the Shiite-led security forces. ISIS continues to carry out suicide bombings, as it has been doing for years, but will find heavy resistance in Baghdad's key areas if it attempts any kind of takeover. Similarly, northern Iraq is run by ethnic Kurds, with their own autonomous government and highly organized Peshmerga army (Peshmerga means, roughly, "Those who face death"). Again, ISIS often launches terrorist attacks in Kurdish-controlled areas, but a takeover of any land is considered very unlikely. 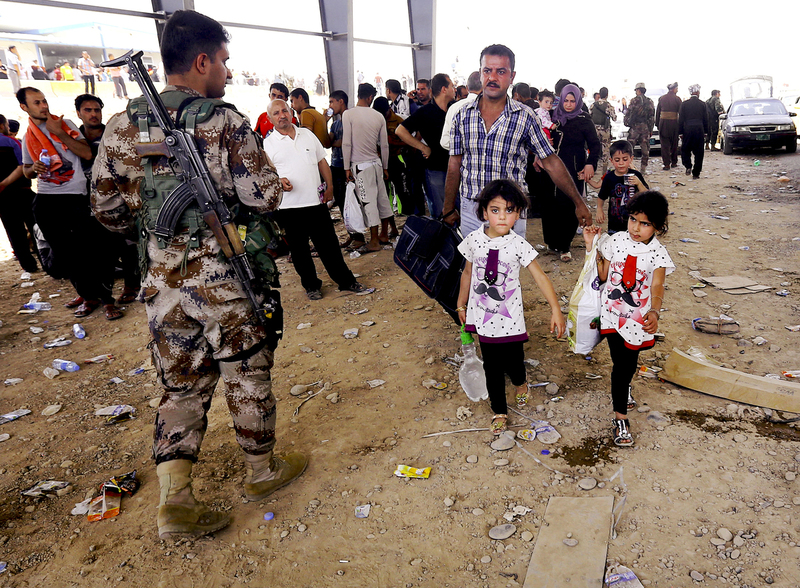 There are farmlands and towns surrounding Baghdad that might be within the reach of ISIS. This includes the Sunni insurgent area that was called "the Triangle of Death" when U.S. troops fought there. And then there's the oil, the resource that pays for nearly all of Iraq's government budget and is an important component in the world supply. The vast majority of Iraq's oil fields are in the far south, deep in Shiite territory. Southern Iraq is almost all Shiite. The oil that's in the north is mostly under Kurdish control. Some installations, though, like refineries and pipelines, run through Sunni country. 4. This isn't all about ISIS. It's unclear how many ISIS fighters there are. Some analysts have estimated 10,000. But what we're seeing is probably a mix of many different Sunni fighters. Iraqi officials claim some of the fighters are former Baathists — the secular insurgents who had been loyal to Saddam Hussein. Others could be fighters from tribal groups who want to run the central government out of their communities. This makes the situation more complicated, but it could offer some potential solutions. For example, there may be more moderate factions that would give up the fight if the central government could entice them with power-sharing deals. It's worth noting that the city of Ramadi, which is west of Baghdad and deep in Anbar province, is run by Sunni tribes that are, so far, not under ISIS control and still cooperate with the government. This gets back to the pressure the U.S. has been putting on Maliki to reach out more to Sunni groups to help pacify the nation. It's far from clear, though, whether Maliki has any will to compromise. Larry Kaplow is NPR's Middle East editor and reported extensively from Iraq. You can follow him @larrykaplow.